So I’d been chatting to a guy at the local market about general geeky stuff, and found out that he had started a youtube channel. As he was a nice fella, and I had a bit of an itch, I figured I could at least help him out a little. 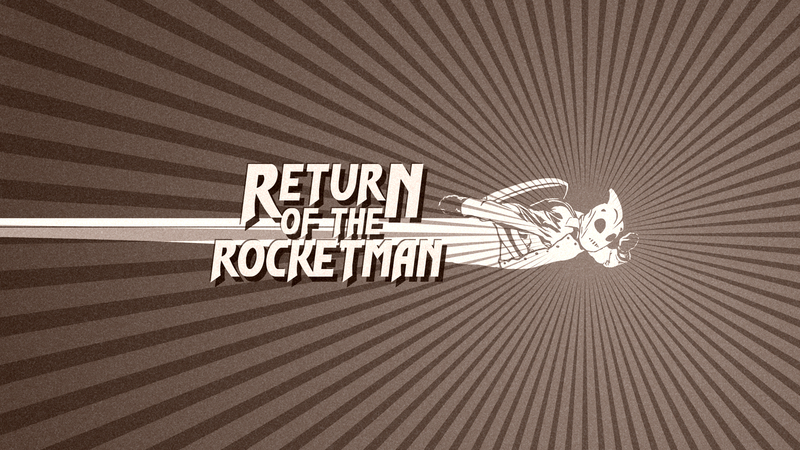 His channel is called ‘Return Of The Rocketman’ and whilst it’s in reference to an old 40′s/50′s serial, he was also a fan of the ’91 Disney movie ‘The Rocketeer’. 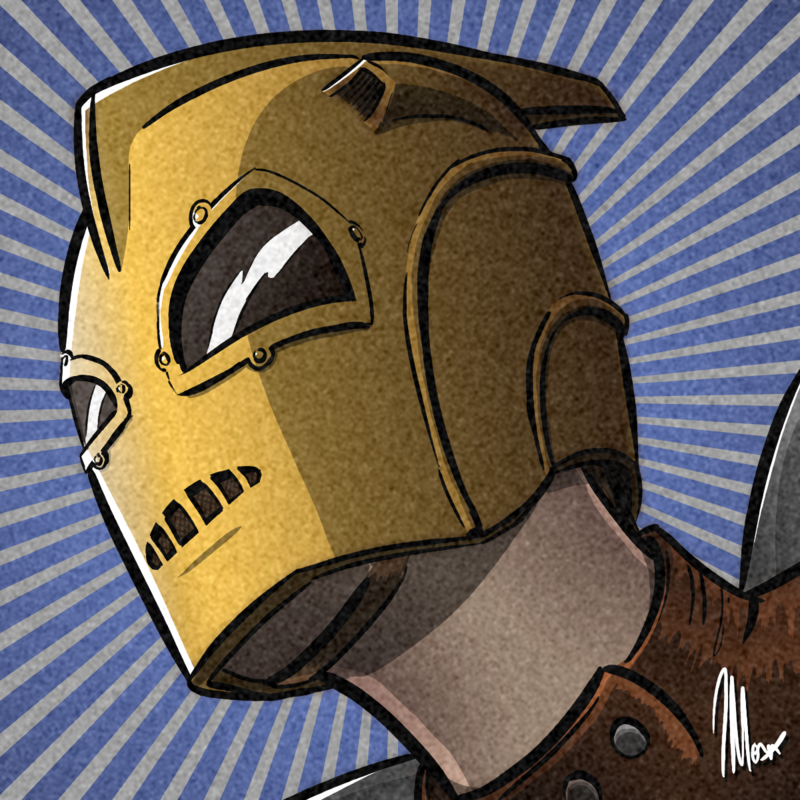 As I’ve doodled Iron Man and several robots in the past, I figured designing my own Rocketeer-esque rocket-man would be a doddle… it was not. Turns out that whatever I tried ended up either looking too scary, or too much like The Rocketeer – so in the end, I decided he’d appreciate a Rocketeer anyway… and he did. I’d been working with gradients a lot recently, so used a few here to build up my cartoony style and giving the image a bit more depth than usual. 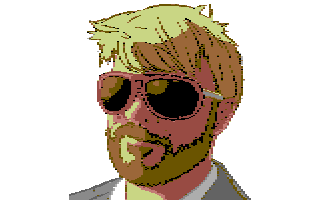 On top of that, I added an olde-grain style effect by blurring some random noise over the image. The results come out quite well (so I’m told) and RoTR was very pleased with it. To finish it off, I thought he deserved a logo for the start of his vids and provided the title banner seen at the top of this page. Though this is less my art, and more a traced image from the film, that I recolored into a white sillouette. Again, I stuck with the olde-tv feel of it and added the appropriately sci-fi titles also.